The National Institutes of Health recently announced its final decisions about moving the remaining 180 chimpanzees it owns to the US federal sanctuary, Chimp Haven. The Louisiana sanctuary was founded in 1995 as a nonprofit led by primate behavioral researcher Dr. Linda Brent and others. Brent served as Chimp Haven’s President for 17 years until retiring in 2012. The US Congress approved funding for the federal sanctuary and chimpanzee retirement in 2000. 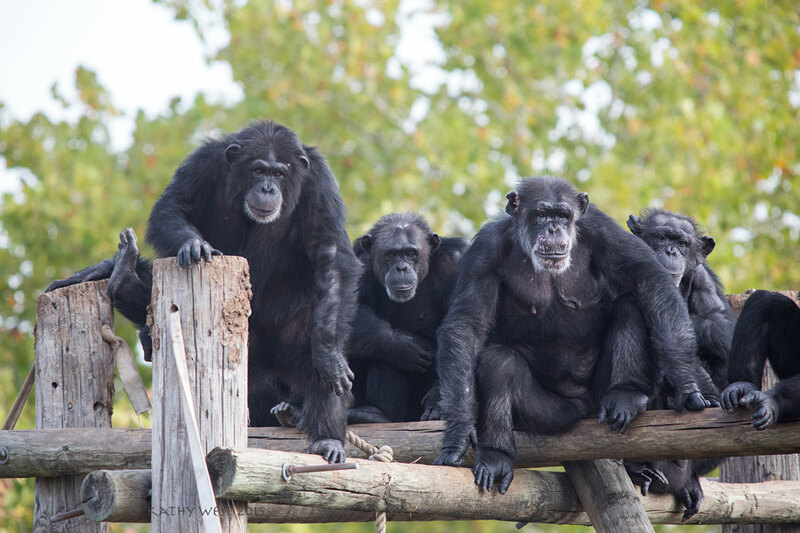 The first NIH chimpanzees arrived at Chimp Haven in 2005. Over the past 16 years, the facility has received 375 chimpanzees owned by NIH and the majority of the animals’ ongoing care costs have been supported through federal funds. Under contract with the government, Chimp Haven receives federal funds for 75% of the cost of the animals’ care, with the remaining care costs raised by donations. By 2013, the facility had reached the $30 million cap for construction and animal care. Congress approved additional funds with legislation that allowed NIH to spend between $9-12 million per year for care of its chimpanzees living in the sanctuary. However, despite NIH Director Francis Collins’ 2015 decision to end most types of research with chimpanzees and the federal investment for the lifetime care costs for the animals, moving all the NIH chimpanzees to sanctuary has been a long and challenging process. 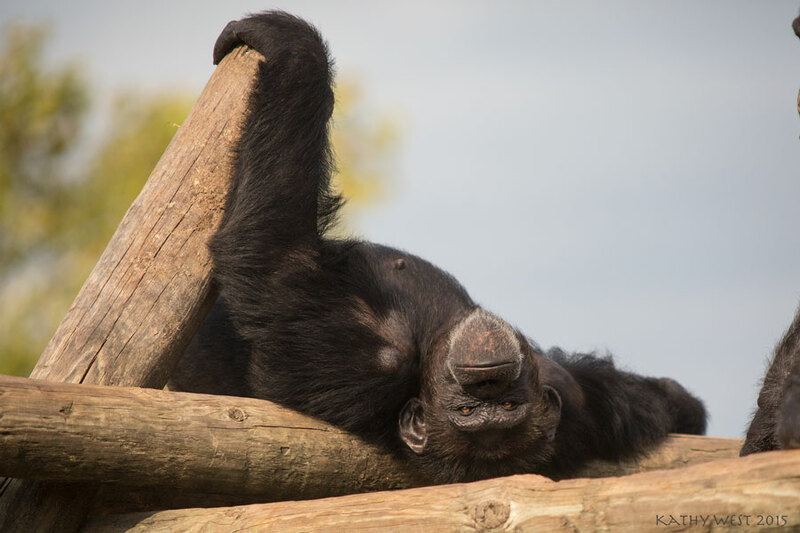 We have written extensively about those challenges, including the core question about what is best for the chimpanzees’ health and wellbeing (see links below). “Working in close coordination, the [NIH-funded] research facilities have relocated 375 chimpanzees to the Federal sanctuary [Chimp Haven] since it opened its doors in 2005. Today, there are more NIH chimpanzees in sanctuary than in any other NIH-supported location. But arranging the transfers safely is challenging. Given the extensive logistic support needed for each transfer of animals, there is still more work to be done. As of October 1, 2018, the date of our last annual census, 180 chimpanzees owned by NIH are still housed in research facilities. … We must find a path forward that is consistent with existing laws and regulations, but in some instances those are conflicting. The Chimpanzee Health Improvement, Maintenance and Protection Act (CHIMP Act) requires that chimpanzees no longer used in research be retired to the Federal sanctuary system. Animal welfare laws and regulations, however, prohibit the transport of obviously ill, injured, or physically distressed chimpanzees. Given the complexity of this issue, in February 2018 I tasked a working group of my Council of Councils (CoC) to provide recommendations on factors to be considered by attending veterinarian staff when deciding to relocate at-risk chimpanzees. Together, US legislation and federal financial support provide a strong demonstration of the US public’s support for lifetime care of chimpanzees who played important roles in biomedical and behavioral research. The example stands in contrast to other countries that have banned ape research without building national sanctuaries to provide means for the animals’ lifetime care. It is also true that mandated federal funding for retired research chimpanzees’ care is limited to those owned by NIH. Support for the care of other chimpanzees retired from research rests on the research institutions who own them. As a result, some of those animals have been transferred to zoos in the US and UK where some participate in breeding programs to increase the number of chimpanzees in captive settings. Other retired research chimpanzees have moved to private sanctuaries that depend on donor support. Overall, Thursday’s announcement appears to be the final step for now in NIH’s decisions over the past seven years since the 2011 Institute of Medicine (IOM) report that provided NIH with recommendations about the future of research with chimpanzees and their care. The 2011 report is viewed by many as marking the beginning of the end for dedicated chimpanzee research facilities and programs. The NIH’s decision-making process, along with the accompanying public discussions and debates, left a good number of core philosophical and practical issues unresolved but better illuminated. Among them are questions surrounding what kinds of environments and care practices are best for the long-term care and wellbeing of captive animals, including animals who are aged, frail, and living in long-time stable social groups. The decisions about chimpanzees have also raised questions and discussion about whether the federal investment and legislation to support construction and care costs for retired chimpanzees is a model that can be repeated for other types of research animals. More broadly, the NIH process for deriving new standards for research chimpanzee care raises the question of whether the standards for housing, care, and support of captive chimpanzees should be equitable across the many types of facilities—zoos, sanctuaries, private homes—in which the animals currently live in the US and elsewhere. Serious consideration of the changes in views of research chimpanzees and their long-term care needs also raises fundamental questions about other captive chimpanzees. Whether the population of animals in captive settings should be increased, as it is in zoos, for instance. Or whether private ownership and breeding of primates as pets— something that scientists and others have argued against for decades— should be allowed. The questions raised here are those that merit serious, fact-informed dialogue that continues beyond the recent announcement by NIH and the US federal support for retired research chimpanzees. 12/5/15: Where should US chimpanzees live? 7/14/16: Do politics trump chimpanzee well-being? Questions raised about deaths of US research chimpanzees at federally funded sanctuary. 8/10/16: Sanctuary, zoo, lab: Name games or core differences? More at: Bennett, A.J. & Panicker, S. (2016). Broader impacts: International implications and integrative ethical consideration of policy decisions about US chimpanzee research. American Journal of Primatology, Epub ahead of print Jul 19. Posted on November 5, 2018 November 5, 2018 by EditorPosted in News, Science NewsTagged Allyson J. Bennett, animal research, Chimp Haven, Chimpanzee, Linda Brent, NIH, research animal retirement, sanctuary. Previous Previous post: Research Roundup: Three paralyzed men walk again thanks to animal research; a promising new therapy to stop Parkinson’s disease and more!